David Brat, a conservative Republican, is telling US citizens to embrace capitalism “or Hitler will come back.” His tongue-in-cheek remark will make some laugh and will certainly offend the socialists among us. My question to you is, “Is capitalism godly?” In other words, does God embrace capitalism as the economic system of choice? We know God’s government to come is theocratic with Jesus heading it all up. Christ is King of Kings and Lord of Lords after all. But we have no clue as to what the economic system of his new government will be like. But in the meantime, is capitalism the system of best choice? I’d love to hear your comments. In the meantime, let’s see about this comment that David Brat made. 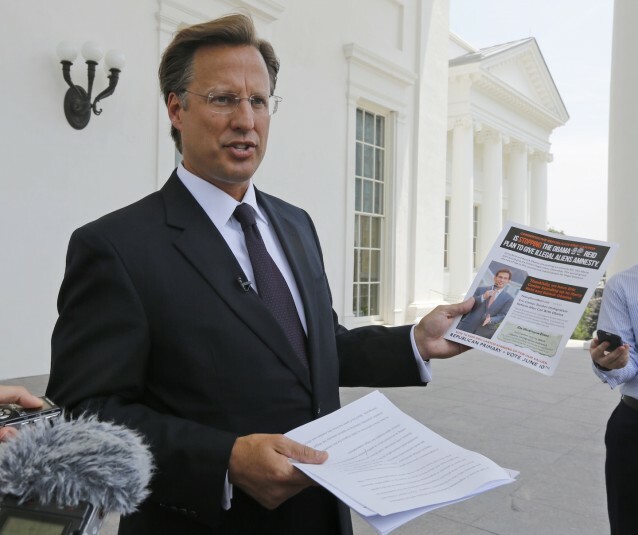 When David Brat defeated House Majority leader Eric Cantor (R-VA) in the Republican primary of Virginia’s 7th Congressional District last night, House Republicans likely lost their only Jewish representative. In his place, they may have gained a radically pro-capitalist Christian theologian. Christian Tea Party candidates are certainly not unusual, but a trail of writings show that Brat, an economics professor at Randolph-Macon college, has an especially radical theology to support his right-wing politics. Brat’s CV lists him as a graduate of Hope College, a Christian school in Michigan, and Princeton Theological Seminary, a Presbyterian Church U.S.A. seminary in New Jersey. He claims to be a “fairly orthodox Calvinist,” but several of his published writings expose a unsettling core theology that is centered around lifting up unregulated, free-market capitalism as a morally righteous system that churches should embrace—or else. I think capitalism is the best economic system in this world because it rewards people for their innovation and their actions. Sure, people can become greedy and greed is definitely not godly. But capitalism doesn’t make greedy people. There are greedy people in every economic system on earth. Compared to other economic systems, capitalism rewards people for the effort they put forth. Godly people will not become greedy, but will use their hard-earned profits to bless others. They will use it to employ other people and to make the world a better place. That’s superior to greed and more in line with what God desires. NOTE: The Christian Culture Center does not engage in political activisim of any kind. We simply present news and information we feel is of interest to our participants and to readers of our blog. Vote for whoever you feel will do the best for our country, states and cities and their constituent people.